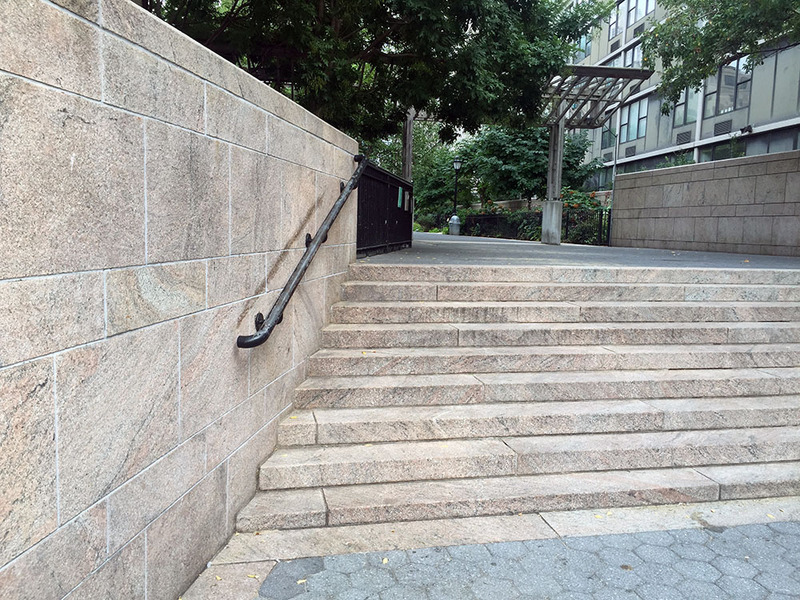 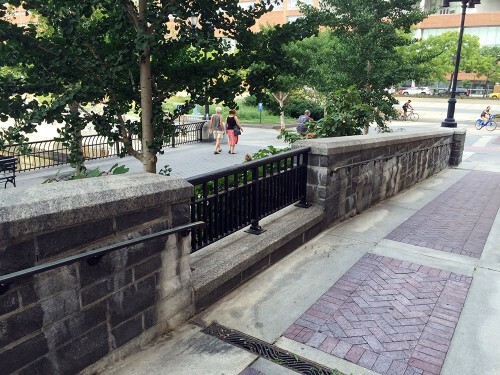 Update — April 2016: You cannot skate the wall rails anymore. 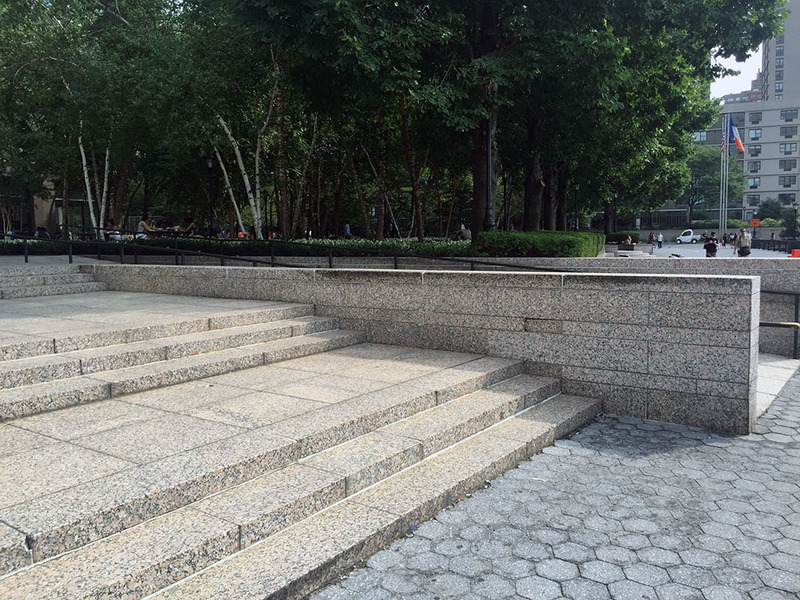 It’d be the best spot in New York if you didn’t get kicked out of everything in two seconds. Bust — ♦♦♦♦♦: There are “No Skateboarding” signs posted everywhere. The Parks Department cruises around in carts and will issue you a summons if they see you skating. Building security at the zone near the World Financial Center will also tell you to leave if they catch you, which is typically in a matter of minutes. 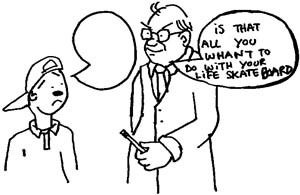 Holidays have been known to grant good fortune. 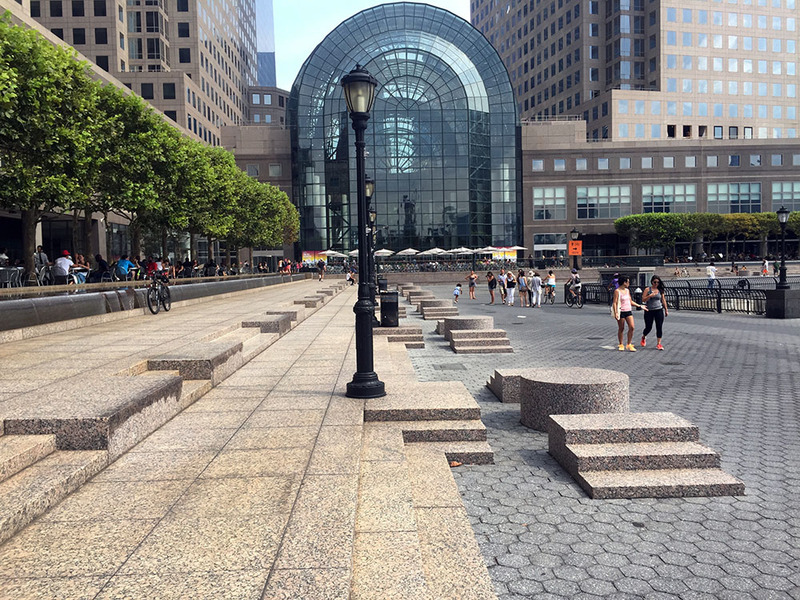 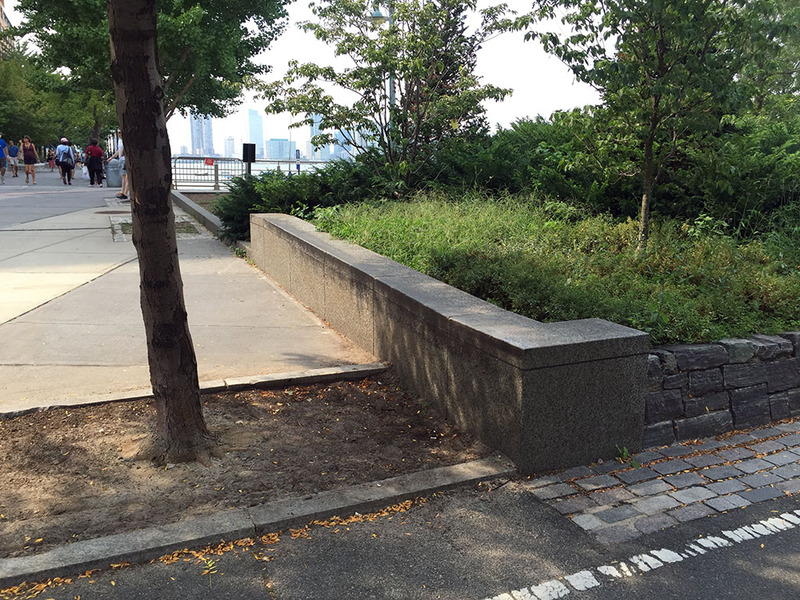 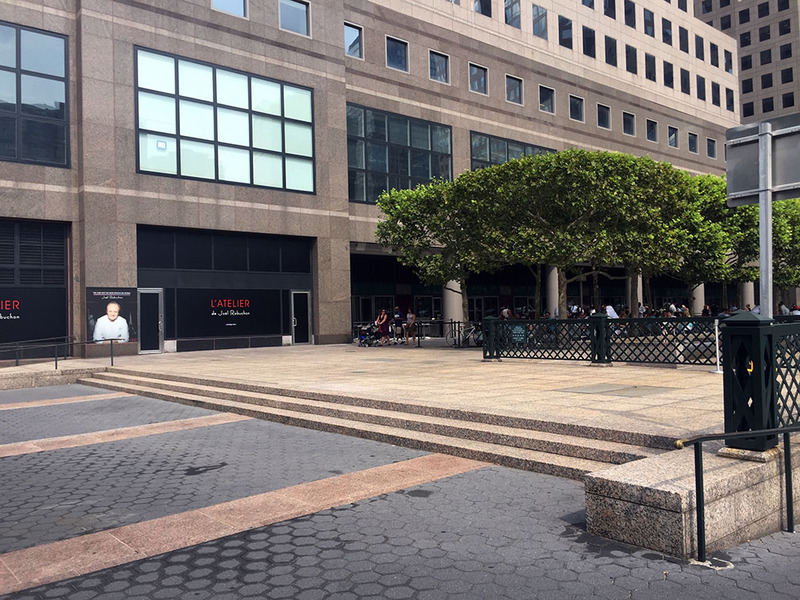 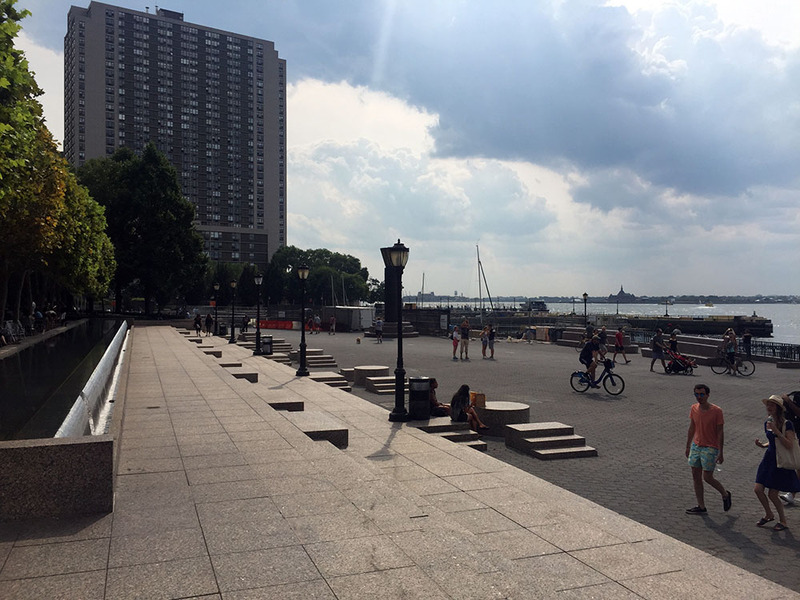 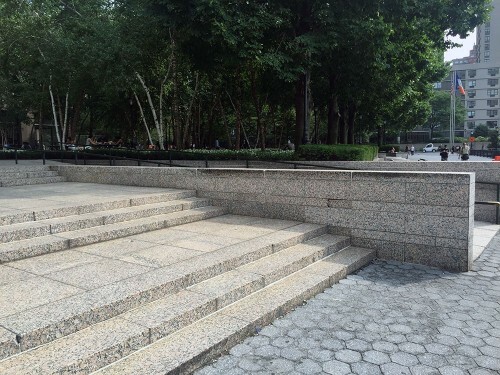 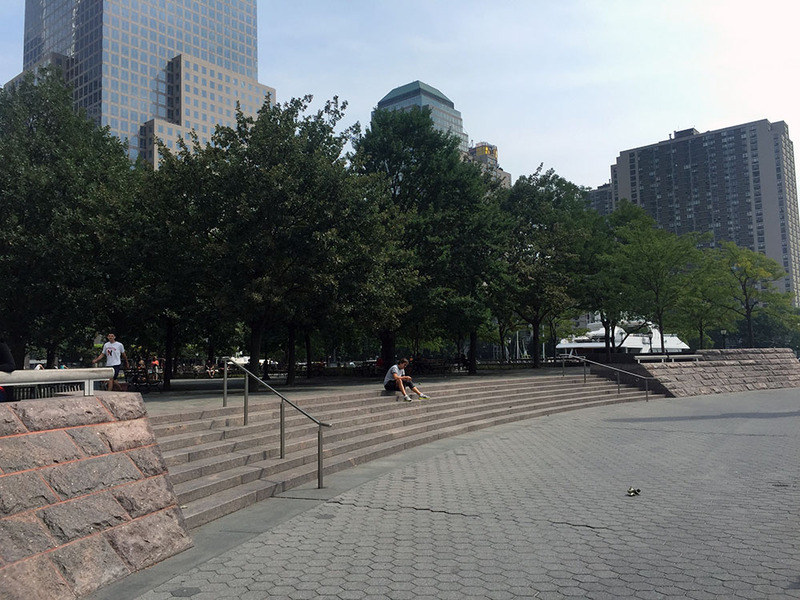 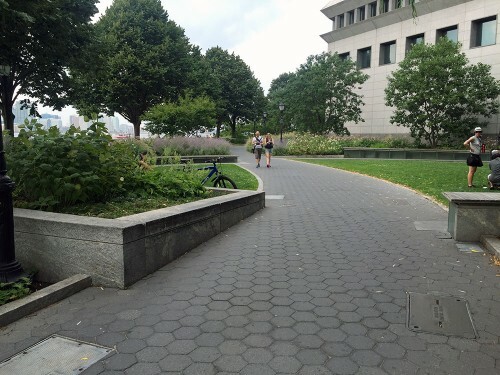 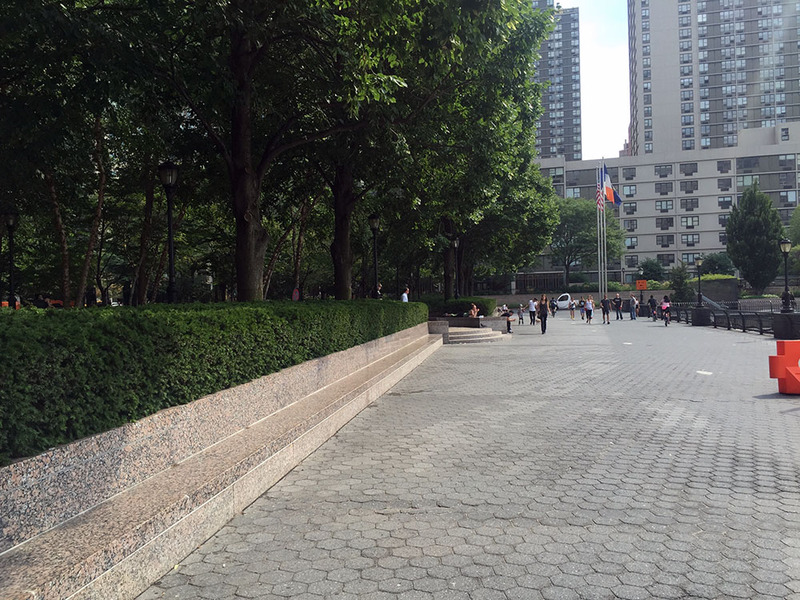 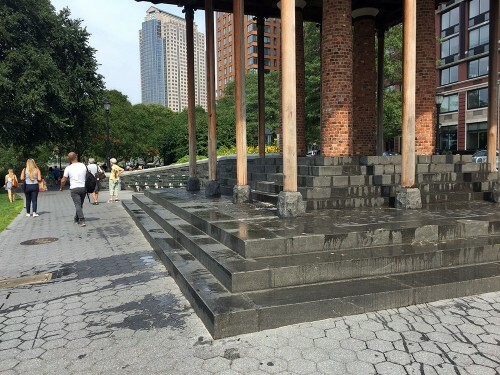 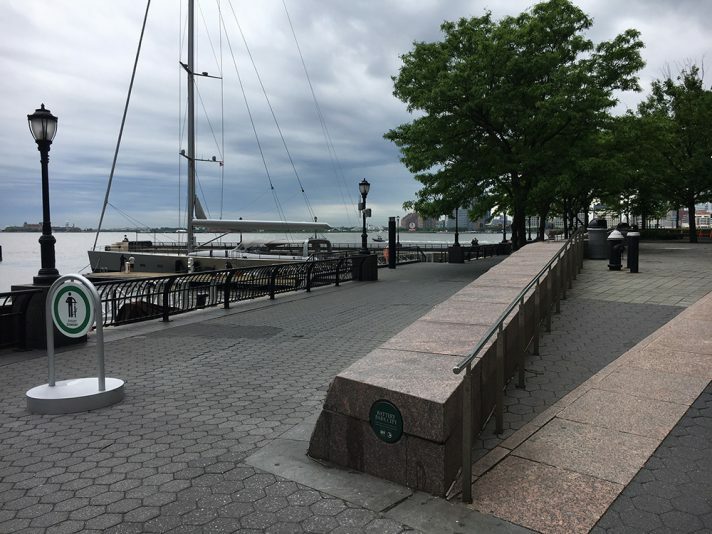 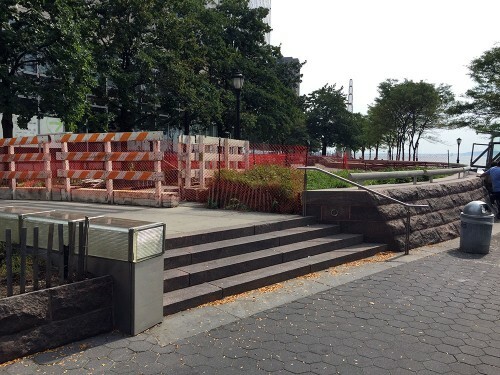 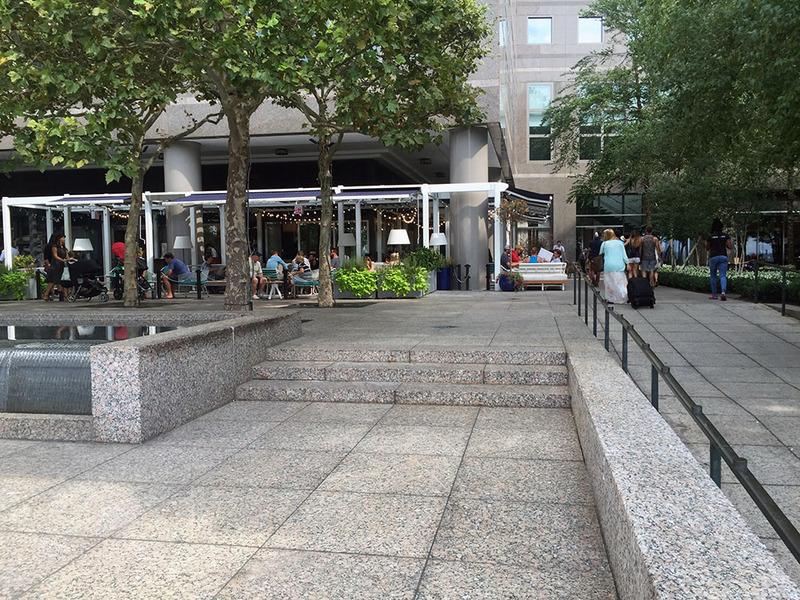 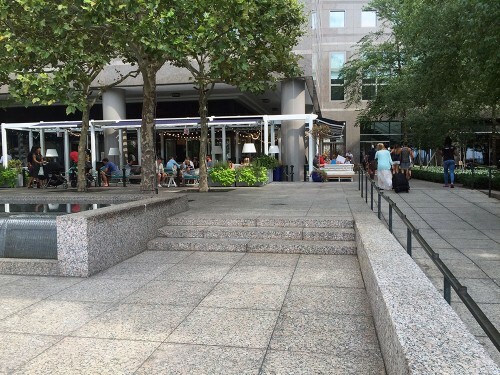 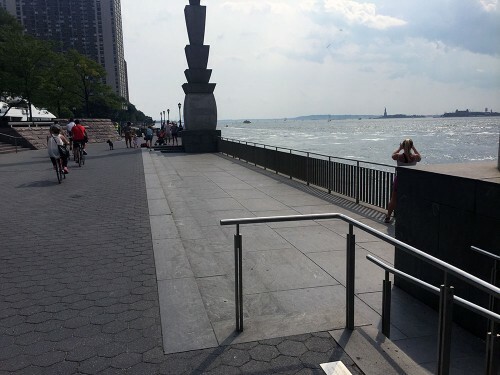 Location: Alongside the Hudson River promenade behind the World Financial Center, but essentially spanning from Rector Street to Chambers Street. 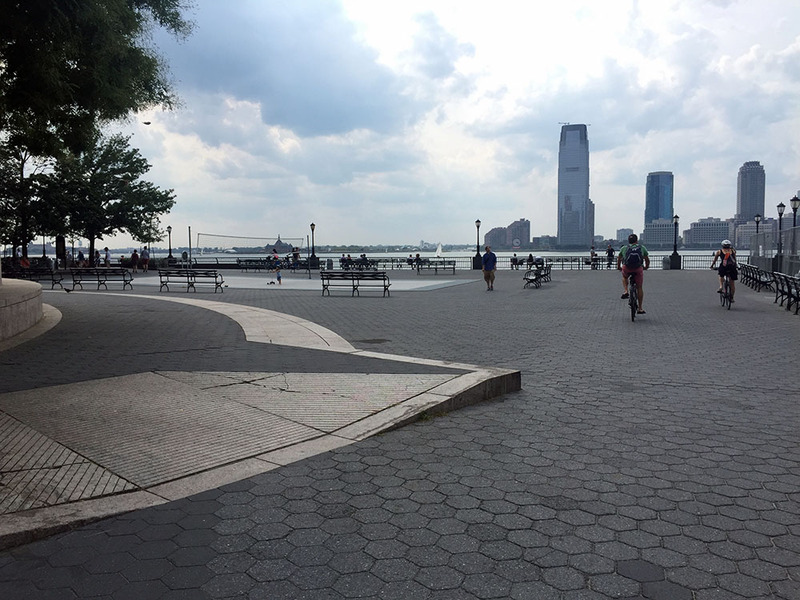 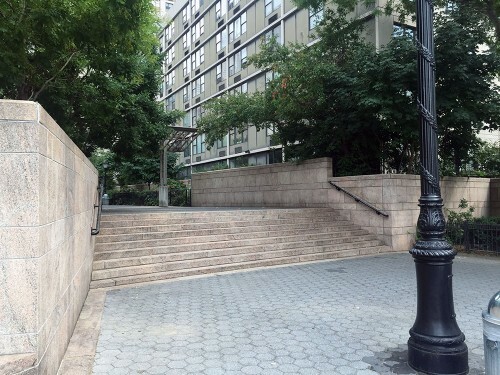 Take the A, C, E, 2 or 3 to World Trade Center, skate west over the Westside Highway, and go towards the water.